Crystal Hodges is a 25-year-old speaker and blogger. She is also an anti-bullying campaign manager and social media coordinator for the Vascular Birthmarks Foundation. Hodges has Sturge-Weber syndrome, a condition that affects the blood vessels and causes her facial birthmark — known as a port-wine stain. 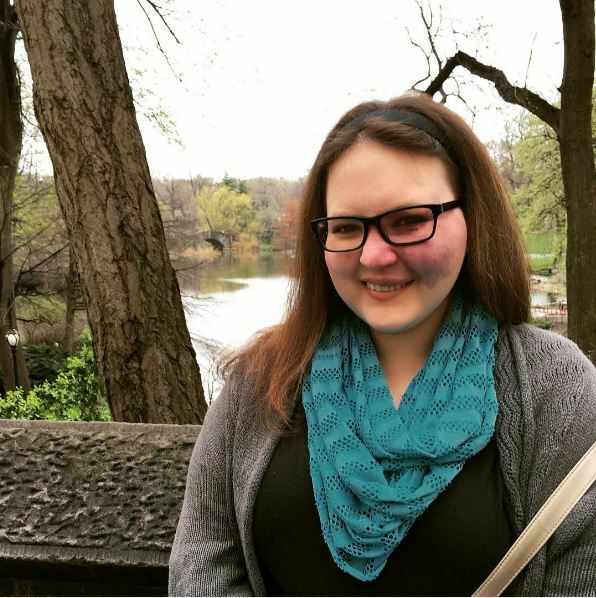 While, in the past, cruel and pathetic trolls turned an image of Hodges into a meme, the body-positive activist embraces her unique birthmark. In an interview with Stuff, Hodges said that she hardly ever hides it with makeup, and even color coordinates her outfits and hair to match the purple shade. So rad. One day, Hodges saw a group of street artists and wondered if they would include her birthmark in a drawing of her. On a trip in San Francisco, she decided to conduct an experiment — asking 50 different artists to draw her portrait. Half of the artists included her birthmark, and many of those who didn’t had inoffensive explanations. One of the artists referenced a family member with a similar birthmark who chooses to hide it, and another artist thought it was merely a shadow in the photograph. Hodges asked those artists to add the birthmark, which they happily did. Hodges refers to her experiment as “Embrace You,” turning it into a celebration of self-love. She now has portraits by 50 artists from 20 different countries, and you can see all of them here. "Sometimes when we look in the mirror, we don't like what we see... We're having a bad hair day, a new pimple randomly appeared on our face over night, we've been bullied, or we've just never been friends with our reflections.... [But] no two artists have drawn me the exact same way. So, no matter how we see ourselves in the mirror, odds are, that's not how the rest of the world sees us."